Charlie waited patiently in line, a look of steely determination on his face. 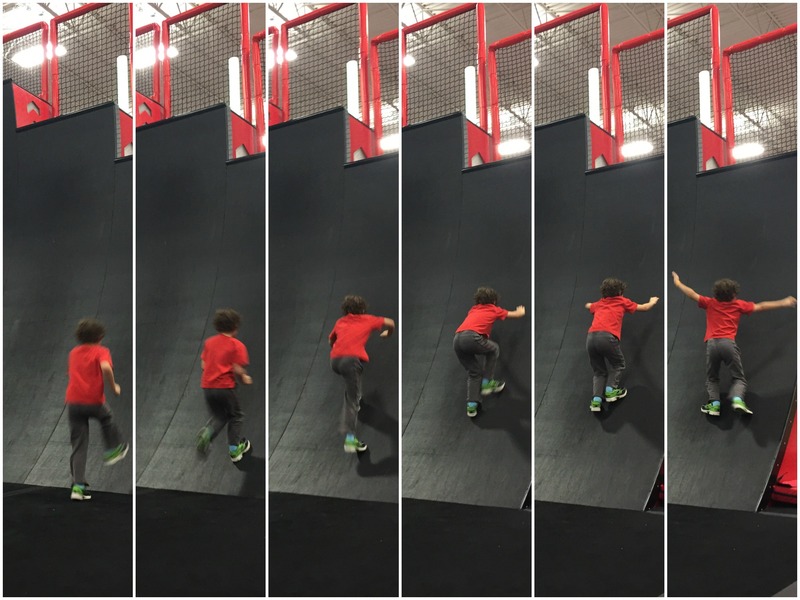 He had already taken half a dozen turns running down the mat trying to tackle the 10 foot warped wall, each time stretching his little fingers to maybe 6 feet up the slick surface. But he wasn’t going to let us go until he did it. With each attempt he pumped his arms harder, tightened his glare, ran faster, and did whatever he thought he needed to do to get to the top of that wall. Our family had been running around Injanation for more than an hour, but he wasn’t letting us leave. He wanted to do it. He needed to do it. He wasn’t going to give up. But physics weren’t going to work for him. At 6 years old and just barely 4 feet tall, he wasn’t going to get up that wall on this day. “I’m too short,” he finally admitted with defeat before running back into line to try it just one more time. 30 minutes earlier, Zacharie had taken a run at the wall and, on his 6th attempt, finally gripped the top edge and pulled himself up, pounding on the timer button at the top like he had set a course record on American Ninja Warrior. The boys are big fans of the show. 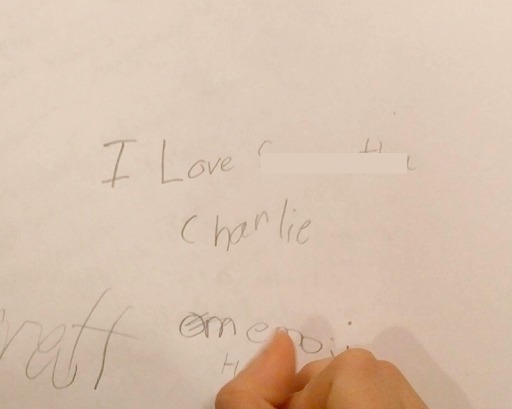 When they play on our playground at home, they are Zacharie “Bull” and Charlie “Catanzaro” taking the names of two of their favorite ANW athletes. The show inspires them to try harder at everything they do, and encourage each other to be better. American Ninja Warrior is a competitive show, but the athletes compete against themselves more than anything. Each week, the roster of athletes sit on the sidelines urging each other to be better than the last time. And, just like his heroes on the show, that’s exactly what Zacharie did for his brother as he took his first turn down the course. Z was there on the sidelines, cheering and urging his brother along with every step. 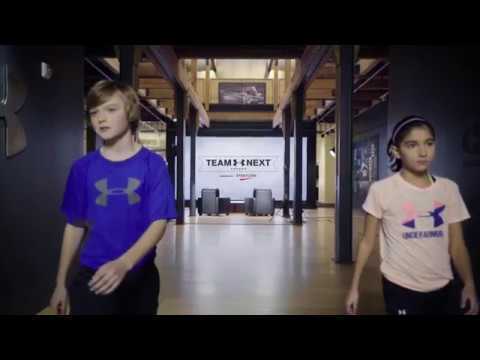 Picking up on the Spartan racing / Ninja Warrior competing trend that is gripping the workout world, 3 partners looked to open a fitness centre that was different. The inspiration from the popular summer tv series is everywhere at Injanation‘s 55 000 square foot play area in an industrial park in Calgary’s NE backing on to the airport. With race courses inspired by ANW (including a course for mini ninjas as young as 2) to a military obstacle course to trampolines (including a high performance trampoline section) to foam pits to climbing walls, Injanation is already proving popular with competitive athletes (Olympian Jessica Zelinka has offered her input and is a community ambassador), people looking for a unique workout, and for families looking to burn some steam. 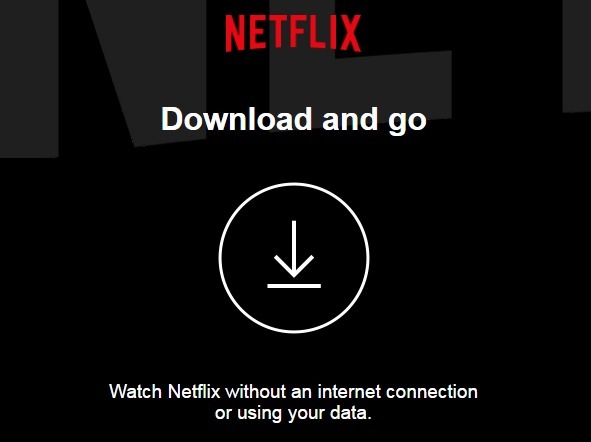 If you’re not tempted enough to get in and play with the kids, you can let them run around on their own. There are more than 100 on staff at Injanation, supervising each course and apparatus. 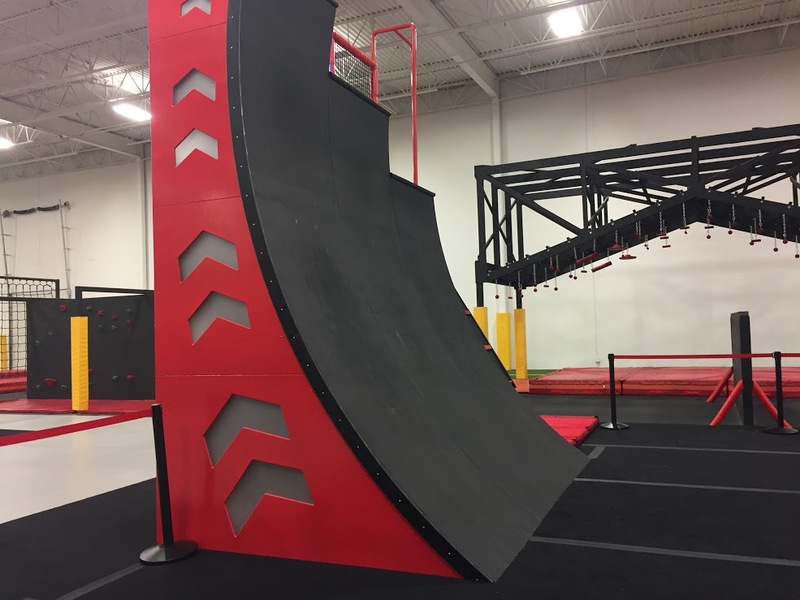 You can chat with friends at tables overlooking the facility, or pop into a cubicle in an office area complete with power and free wifi to get some work done while the kids climb the warped wall. 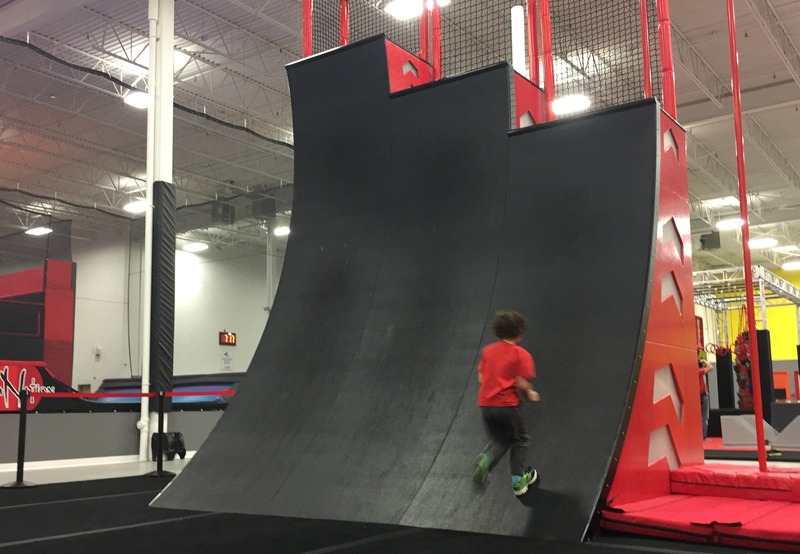 From team building to birthday parties to high performance athlete training to pretending you’re on American Ninja Warrior, Injanation has it all covered. We “worked out” for about 90 minutes, as a family. 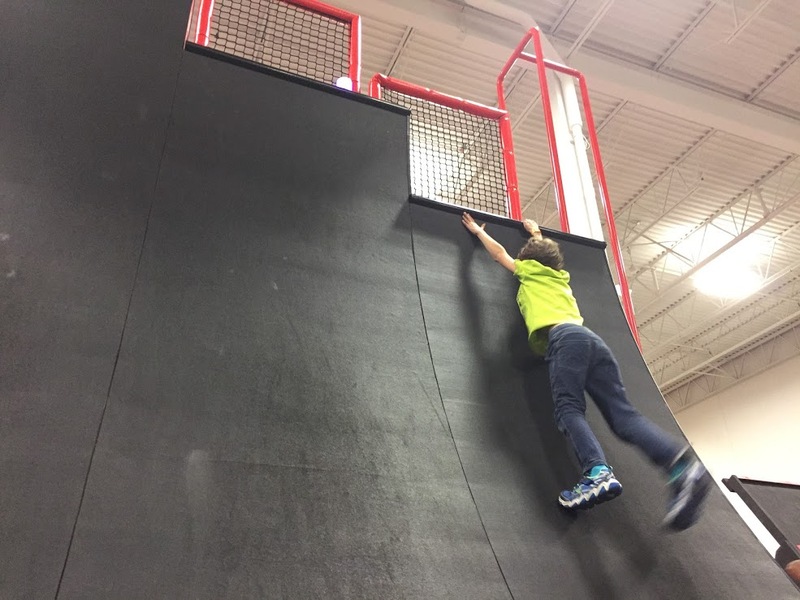 I raced my sons up the climbing wall (I only beat them once), they challenged me to climb the step ladder (I chickened out 2 steps from the top), we played murder ball on the trampolines, had jousting battles in the foam pit, and raced each other on the Ninja Warrior course. And then there’s that wall. Try as he might, Charlie didn’t get up it – this time. I can’t wait until the day my Chooch gets to the top, just like his “girlfriend,” #MightyKacy. Rates vary from $9.95/hr for kids to $19.95/hr for adults during peak hours. Disclosure: Our family was a guest of Injanation on this visit.